If you know what changes can happen during pregnancy. It can help you face the months ahead with confidence. Pregnancy has three Trimesters-what are these? First trimester:- begins from the first day of your last period and last till the end of week 13. Third trimester:– begins from week 27 and ends anywhere between week 38-week 42 (consists of 7th, 8th and 9th completed months of pregnancy. To overcome this problem- increase your bra size and wear a more supportive or sports bra. Honey is nature’s energy booster. Honey has so many health, beauty and medicinal benefits. Daily intake of honey can increase your memory. Its antioxidant and anti-bacterial properties can help improve digestive system and help you stay healthy and fight disease. Start every brand new day with this cleansing tonic if you want to see this health benefit of honey: before breakfast, mix a spoonful of honey and lemon juice from half a lemon into a cup of warm water and drink it. This natural unprocessed sugar — fructose and glucose — directly enter the bloodstream and can deliver a quick boost of energy. The rise in blood sugar acts as a short-term energy source for your workout, especially in longer endurance exercises. The golden liquid’s thick consistency helps coat the throat while the sweet taste is believed to trigger nerve endings that protect the throat from incessant coughing. so many people suffers with dry skin especially in winter season. For this problem honey is the best solution because honey can provide moisture to the skin. Try it:– Apply a dab of raw honey to affected areas, and sit for 10-15 minutes. Rinse with tepid water. Travelling is common in our routine life for the purpose of business, job studies and etc. Due to these journeys so much of dust, dirt and dead cell can accumulate on our face. Try it:-mix 1 spoon honey and half spoon coconut oil and apply to the face. Slowly rub the face with fingers to improve blood circulation. After that wash your face with water and then you will get clean and smooth face. If unwanted facial hair is what you are looking to get rid of, then try this home remedy. In a vessel, take one teaspoon of honey, one tablespoon of sugar and a few drops of lemon juice. Beat it into a smooth paste. Now heat it in a microwave for up to three minutes. Touch to see if it isn’t too hot and apply it on the area you want to pluck hair from in the same direction as the hair growth. Now take a strip of cloth and place it on top and pull it in the opposite direction. This will remove the hair from the root and your face will be hair-free for a prolonged period. Everybody wants to get thick hair but so many people don’t know how to get thick hair. 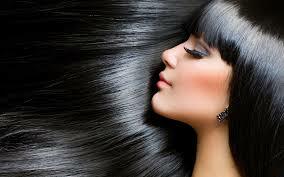 Home remedies are best way to get thick, bouncy and shiny hair than expensive artificial treatments. Thick, bouncy and shiny hair will makes you more confident and beautiful. You can try different hair styles with your thick hair that makes your appearance special in parties and functions. Environmental factors such as humidity, heat and cold can affect your hair so you have to take care against these conditions. Simple home remedies will give you healthy and thick hair. The next important and popular use of henna is for hair growth. Henna for natural hair is really useful that provides a healthy glow and volume to it and makes it shine with all its might. There are several major causes of hair fall in the day to day life. It can be caused by lack of nutrients in the daily diet, hormonal changes, pollution or overuse of hair styling products. But henna can help in preventing hair fall in an effective and natural way. How to use henna leaves? Fresh henna leaves or in the form of henna powder are used for hair pack. Take handful of henna leaves and grind them. Apply the henna leaves paste on scalp and hair and wait for one hour. Wash the hair after one hour with mild shampoo. If you want to use henna powder then mix the powder with water or egg white. Egg white makes the hair smoother and silky. This is the best pack to get smooth hair. People with rough hair will get more benefits from this pack. Ripen bananas are used for this pack. Make paste with ripen bananas and apply i9t on yhour scalp and hair. After 1 hour wash the hair with water and shampoo the hair. Banana pack is very sticky in nature so it is hard to wash this pack. Try this pack when you have more leisure time because this pack takes more time to wash off. Fresh hibiscus leaves or hibiscus powder are used in this pack. Grind the fresh hibiscus leaves and apply the paste on your hair and scalp. If you want to use hibiscus powder then mix the powder with water or curd. Regular use3 of this pack will reduce the hair fall and increases the thickness and length of the hair. Any type of hibiscus flower is good for the hair. However, it becomes more effective if you will also utilize the leaves. Combine both leaves and petals and grind them and add to your regular shampoo. Make sure that you do not throw away the juice that comes out from grinding. Put everything into your shampoo solution and leave it in your hair for at least 5 minutes. If you do this on a regular basis, you will be able to see visible results in a span of a few months. Conditioning your hair with eggs enhances hair growth because eggs contain lots of protein. Hair is composed of 70 percent keratin protein, so egg protein helps rebuild damaged hair by filling in weakened spots along the hair strand, which temporarily strengthens the hair. We can get sufficient amount of protein, sulfur, zinc and iron from eggs. These are necessary for the hair growth. Mix egg white and yolk, 1 spoon honey and some drops of olive oil and apply it to hair. After 1 hour wash the hair with shampoo. If using eggs alone causes a problem, you can mix it with curd or a good conditioner. Apply raw amla(gooseberry) paste on hair keep it for 2 hours then wash it. It stops hair falling and helps to grow hair. Just boil dry amla 50 grams in pure 200 grams coconut oil. Strain it well and cooled. Use it every night for long hair. Lemon has many health benefits for skin and it is equally good for hair too. But it is not advisable to use lemon directly on scalp because of its acidic nature. How can you use lemon for your hair? Using with shampoo:- Applying lemon juice cannot be advised for everyone with hair problems. Lemon has acidic ingredients that can cause scalp itching or irritation. It is better that you use it with your shampoo. Pour a spoon of lemon juice into a mild shampoo and use it to wash your hair. It will bring a glow to the hair. Add 2 garlic cloves and black pepper to the coconut oil and heat the oil for 5 minutes. Allow the oil to cool and apply it on the scalp. After 1 hour shampoo the hair. This simple procedure is effective in removing dandruff. Use onion juice o9n head and scalp. Massage it well. It is good for hair and kills lice. 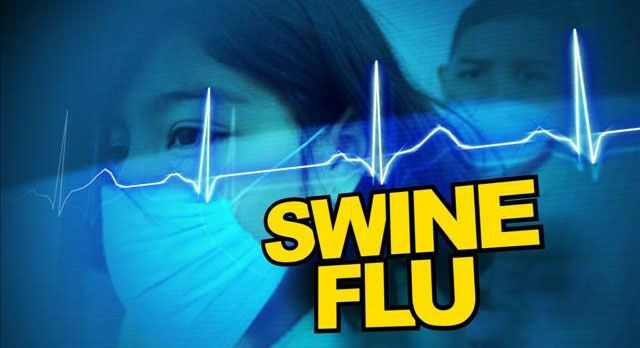 Swine flu (swine influenza) is a respiratory disease caused by viruses (influenza viruses) that infect the respiratory tract of pigs, resulting in nasal secretions, a barking cough, decreased appetite, and listless behaviour. Swine flu produces most of the same symptoms in pigs as human flu produces in people. Swine flu can last about one to two weeks in pigs that survive. Swine influenza virus was first isolated from pigs in 1930 in the U.S. and has been recognized by pork producers and veterinarians to cause infections in pigs worldwide. H1N1 flu symptoms develop about one to three days after you’re exposed to the virus. Swine flu is presumptively diagnosed clinically by the patient’s history of association with people known to have the disease and their symptoms listed above. Usually, a quick test (for example, nasopharyngeal swab sample) is done to see if the patient is infected with influenza A or B virus. Most of the tests can distinguish between A and B types. The test can be negative (no flu infection) or positive for type A and B. If the test is positive for type B, the flu is not likely to be swine flu. If it is positive for type A, the person could have a conventional flu strain or swine flu. Swine flu is definitively diagnosed by identifying the particular antigens (surface proteins) associated with the virus type. In general, this test is done in a specialized laboratory and is not done by many doctors’ offices or hospital laboratories. Most cases of flu, including H1N1 flu, require only symptom relief. If you have a chronic respiratory disease, your doctor may prescribe additional medications to help relieve your symptoms. The Centers for Disease Control and Prevention recommends flu vaccination for all people older than 6 months of age. An H1N1 virus is one component of the seasonal flu shot for 2014-15. The flu shot also protects against two or three other influenza viruses that are expected to be the most common during the flu season. The vaccine will be available as an injection or a nasal spray. The nasal spray is approved for use in healthy people 2 through 49 years of age who are not pregnant. The nasal spray isn’t recommended for people who are older than 50, younger than 2, pregnant or allergic to eggs, or people who have asthma or a compromised immune system, or those who use aspirin therapy. Peanuts also called as ground nuts because they obtained from the ground. Peanuts are popularly used as seed oil in India. They are easily available round the year and almost everywhere in India. Peanuts are also taken as snacks in many households especially in India. In reality, peanuts are actually legumes. But since they have all the properties of nuts like almonds, cashew nuts, etc., these are also included in the family of nuts. Peanuts and peanut butter are full of nutrients. Vitamins and minerals, including hard-to-get vitamin E, magnesium, and potassium, as well as, bioactive components like resveratrol and phytosterols are packed into small peanut kernels, making them a healthy and critical addition to your snacks and meals. Peanuts grow in a very fascinating manner. They actually start out as an above ground flower that, due to its heavy weight, bends towards the ground. The flower eventually burrows underground, which is where the peanut actually matures. The veined brown shell or pod of the peanut contains two or three peanut kernels. Each oval-shaped kernel or seed is comprised of two off-white lobes that are covered by a brownish-red skin. Peanuts have a hardy, buttery and “nutty” taste. Due to their high protein content and chemical profile, peanuts are processed into a variety of different forms, including butter, oil, flour, and flakes. Peanuts provide key nutrients that can help keep your metabolism at its best. What is more is that peanuts may help to stimulate your metabolism! Purdue University found that after eating peanuts regularly for 19 weeks, resting energy expenditure was 11% greater than at baseline. Studies in adults and in children have shown that people who eat peanuts on a regular basis have lower body weights and lower Body Mass Index’s (BMI’s) . So, including peanuts or peanut butter as a nutritious addition to your diet can be done without guilt or breaking “the diet” bank, when eaten in the right portions. Low Serotonin levels leads to depression. Tryptophan in peanuts increases the release of this chemical and thus helps you fight depression. Eating peanut benefits health in many ways and you should make it a point to take in a minimum of two tablespoons of peanut butter each week in order to keep those dangerous diseases away and stay healthy! Peanuts are rich in monounsaturated fats, the type of fat that is emphasized in the heart-healthy Mediterranean diet. Studies of diets with a special emphasis on peanuts have shown that this little legume is a big ally for a healthy heart. In addition to their monounsaturated fat content, peanuts feature an array of other nutrients that, in numerous studies, have been shown to promote heart health. Peanuts contain anti-oxidants in high concentrations . These anti-oxidants become more active when peanuts are boiled. There is a 2-fold increase in Biochanin-A and 4-fold increase in Genistein content. These reduce the damage done by free radicals produced in the body. To lower your risk of cardiovascular and coronary heart disease, enjoy a handful of peanuts or other nuts, or a tablespoon of nut butter, at least 4 times a week. The nuts are packed with many important B-complex groups of vitamins such as riboflavin, niacin, thiamin, pantothenic acid, vitamin B-6, and folates. 100 g of peanuts provide about 85% of RDI of niacin, which contribute to brain health and blood flow to brain. The nuts are rich source of minerals like copper, manganese, potassium, calcium, iron, magnesium, zinc, and selenium. Just a handful of peanuts per day provide enough recommended levels of phenolic anti-oxidants, minerals, vitamins, and protein. Yoga is one of the six orthodox systems of Indian philosophy. The system of yoga is so called because it teaches the means by which the individual’s soul can be united to or be in communion with god, and so secures liberation. When the restlessness of the mind, intellect and self is stilled through the practice of yoga, the yogi by the grace of the spirit within himself finds fulfillment. Yoga is timeless pragmatic science evolved over thousands of years dealing with the physical moral, mental and spiritual wellbeing of man as a whole. The health benefits of yoga are widely known. Yoga is a popular aid in improving and attaining both physical and mental health. This is basically the most common reason why people practice yoga-for health reasons. They want to ease their back pain, find a method to ease stress, or ways to deal with their health problems. When the senses are stilled, when the mind is at rest, when the intellect wavers not, then, say the wise, is reached the highest stage. Yoga has also been described as wisdom in work or skillful living amongst activities with harmony and moderation. Asanas should never be practiced immediately after pranayama. If pranayama is done first allow some time at least an hour to elapse before starting Asanas. Power yoga is characterized by the practice of a series of yoga poses without stopping and accompanied by vinyasa or riding the breath in order to flow from one pose to another. It is a vigorous exercise that physically and mentally challenges you in order to help you connect to your inner power. Poses are done at a fast pace; some poses are held longer than the required five breaths. The practice can increase your physical endurance and ability to focus on any task for a long time without breaking your concentration. It is primarily a shortened and modified version of the primary series of Astanga yoga, but also adapts certain practices of conventional yoga. Power yoga practice also requires the execution of basic yoga poses which provides vigorous work out and challenge which can be done even by beginners. It also emphasizes on good alignment and form, and holding the pose longer in order to achieve maximum benefits. Power yoga sessions are done in a heated room and composed o0f rigorous cardiovascular excercises designed to build strength and flexibility, improves your ability to focus, release tension, increase stamina, tone your body and remove toxins from your body through sweat. The posesinvolved are linked on the backbone of sun salution so beginners should be familiar with this yoga excersise. Power yoga should also be practiced by people who are physically fit and not suffering from chronic ailments since power yoga sessions are rigorous and not gentle. Power yoga serves as great training for athletes and also aids in i8njury prevention and rehabilitation. The exercises involved in this kind of yoga increase stamina, make the body more flexible, correct structural and muscular imbalance caused by overuse of a particular part of your body, improve heart efficiency, and increase lung volume. It can benefit those who want to improve their performance, in particular, sports like cycling, golf, football and swimming. 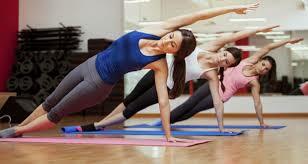 Health clubs also use Power yoga as a transition from aerobics to yoga. Sometimes we experience heart burn, especially after eating spicy or fatty foods. The chest starts to hurt so much that it feels like it is on a fire. However for many people, persistent heart burn and other symptoms stem from more serious, chronic condition known as gastro esophageal reflux or GERD. Normally, during the digestion process, a circular band of muscle located between the esophagus and stomach widens to allow food to enter the stomach and then tightens. But when this muscle known as the lower esophageal sphincter, weakens or relaxes in appropriately, acidic digestive juices in the stomach can flow back up, or reflux, into the esophagus. Unlike the stomach, the esophagus does not have a protective barrier against the acid. As a result, reflux to the esophagus that is often perceived as heart burn-an uncomfortable, burning sensation behind the breast bone. Occasional heartburn tends to occur after heavy medals, eaten late in the evening or consisting of high fat or spicy foods. Generally, there is no need to panic. Everybody can have a little heart burn. However it does not signify a disease. Nevertheless if the heartburn occurs two times a week or more, there are chances that the person is suffering from GERD. GERD affects mostly those in their 40s or older. However, it can affect people of all ages, including children. How to prevent Heart burn? Control your weight:- being overweight is one of the strongest risk factors for heart burn; excess pounds put pressure on your abdomen, pushing up your stomach and causing acid to back up into your esophagus. Loosen your belt:– clothes that fit tightly around your waist put pressure on your abdomen and the lower esophageal sphincter. Eliminate heart burn triggers:- everyone has specific triggers. Common triggers such as fatty or fried foods, alcohol, chocolate, peppermint, garlic, onion, caffeine and nicotine may make heartburn worse. Don’t lie down after meal:– wait at least 3 to 4 hours after eating before going to bed, and don’t lie down right after eating. Raise the head of your bed:– an elevation of about six to nine inches puts gravity to work for you. You can do this by placing wooden or cement blocks under the feet at the head of your bed. If it is not possible to elevate your bed, you can insert a wedge between your matress and box spring to elevate your body from the waist up. Wedges are available at drugstore and medical supply stores. Raising your head only by using pillows is not a good alternative. You may have heard that drinking a glass of milk can relieve heartburn. While it’s true that milk can temporarily buffer stomach acid, nutrients in milk, particularly fat, will stimulate the stomach to produce more acid. The Journal of Dental Research conducted a study that showed people with symptoms of gastro esophageal reflux disease (GERD), or chronic heartburn, experienced relief when they chewed a piece of sugar-free gum for 30 minutes after a meal. This is because chewing gum stimulates the salivary glands, and increases the flow of saliva. Any acid that has built up in the gut is diluted and washed away or cleared out more quickly. The clearance of acid then improves the symptoms of GERD. It is possible that the same school of thought could be applied to occasional heartburn as well. It’s our regular saliva that we swallow that actually makes normal bouts of reflux here and there completely painless. After a meal, pop in a piece of sugar-free gum and chew for 30 minutes to help ward off heartburn. The total content of zinc in an adult body is about 2 g.. Zinc is mainly intracellular element. Adequate Zinc is necessary for optimal physical performance, energy levels and body composition. 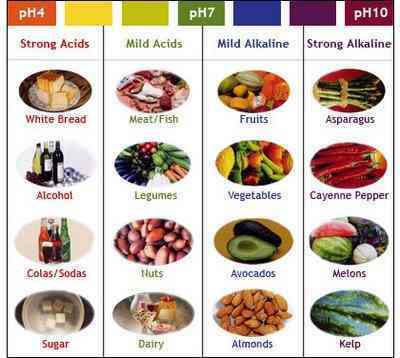 Zinc affects protein synthesis and is required for proper function of red and white blood cells. It is highly concentrated in our bones, the pancreas, kidneys, liver and retina. 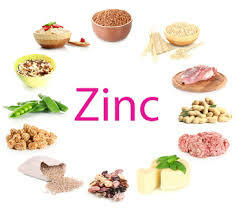 Improve all aspects of your health and wellbeing by making sure you get enough zinc in your diet. Many people know about zinc for its immune boosting properties, but this mineral is actually a wonder of health benefits. Zinc is such a critical element in human health that even a small deficiency is a disaster. It is needed for the body’s defensive (immune) system to properly work. It plays a role in cell division, cell growth, wound healing, and the breakdown of carbohydrates. Zinc requirement for an adult is 10-15 mg/day. It is increased by about 50% in pregnancy and lactation. What are the symptoms of large amounts of zinc supplements? Zinc supplements in large amounts may cause diarrhea, abdominal cramps, and vomiting, usually within 3 – 10 hours of swallowing the supplements. The symptoms go away within a short period of time after the stopping the supplements. People who use nasal sprays and gels that contain zinc may have side effects such as losing their sense of smell.